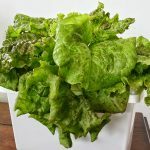 I am really happy I started growing lettuce with the Kratky method. I really like good, clean lettuce. You just can’t get it from a store anymore. What you can get from a store is “triple washed”, bruised, sad looking, sometimes decaying leaves. No matter how hard I examine a bag or container in the store, I don’t see the carnage until I pour it out. Now that I’ve grown some full size lettuce, I’m going to scale back the amount of solution I use to 1.5-2 liters, down from 4. They might need 4 if they’re grown outside with windier or warmer conditions, but indoors they don’t drink much. Now that there are longer days, the lettuce is growing faster. Gaviota grew out to a full size from seed in 40 days. Gaviota is an awesome lettuce. It grows loose and bushy, with slightly curled leaves. You can cut it at the base, and all the individual leaves are all separated at once. 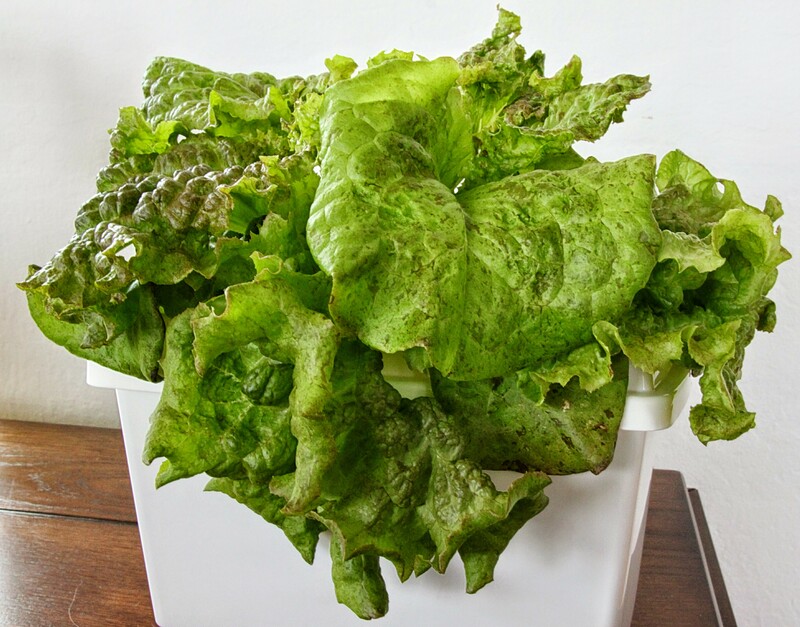 The slightly ruffled leaves make for a light and fluffy salad. It grew awesome with hydroponics. I don’t think this will work well for periodic harvesting. Red Sails is a pretty leaf. It also grew awesome with hydroponics. The leaf size is huge so you have to tear it down for a salad. It is a little slower to grow, I’m letting it go for another 10-14 days for 50-54 total.